Your Campanile Lille Nord Roubaix Hotel Restaurant is a hotel situated in the centre of Roubaix, it benefits from an exclusive location less than 5 minutes walk from Roubaix station or Roubaix Grand Place metro station, in the heart of the urban area of Lille, 25 km by metro from Lille city centre, 12 km from the Euralille business centre and 20 km from Lille Lesquin airport. 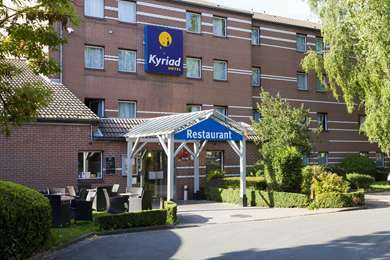 The hotel is also situated 1 km from the next business centre of the future EU zone. During your stay, visit the Museum of Art and Industry at Roubaix or the Musée de la Piscine (a former swimming pool turned into a museum) and discover one of Lille’s most beautiful museums. 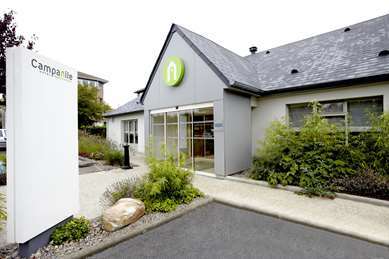 Our hotel in Roubaix has 50 spacious and fully equipped rooms. Feeling a bit peckish after a busy day? You don’t feel like leaving the comfort of your hotel? Your hotel in Roubaix also offers you a traditional restaurant with French cuisine that will delight both children and adults alike with its menu designed in collaboration with the great chef, Pierre Gagnaire. For your business meetings and training workshops, we have a conference room available, which is equipped with all the necessary equipment and can accommodate up to 40 people. 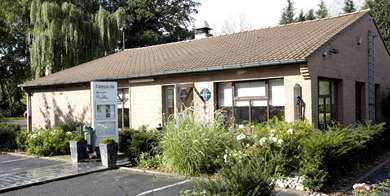 Reception is open from 6.30am to 11.00pm during the week and from 7.00am to 11.00pm at the weekend. We have a manned office that is open 24/7 and free and secure parking. 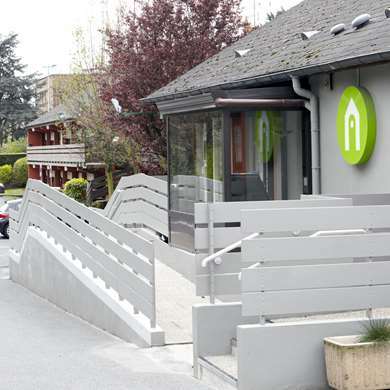 We have 50 spacious, comfortable and fully equipped rooms (2 of which are adapted for people with reduced mobility). 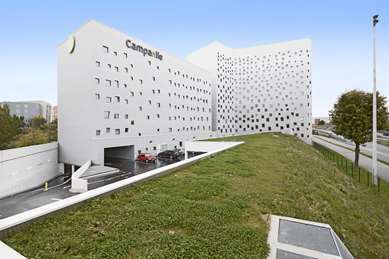 In your Campanile Hotel everything is designed to offer you relaxation, freedom and comfort… whether you are on a family holiday or on a business trip. Each room is equipped with a flat screen television with digital terrestrial television, a direct line telephone and free WIFI access. Our rooms are also equipped with a bathroom with bathtub, and a hairdryer is available from reception. A complimentary tray with a kettle, tea, coffee and selection of cakes is available in your room. A cot and kit including a nappy changing mat, bottle warmer and high chair is available from reception. 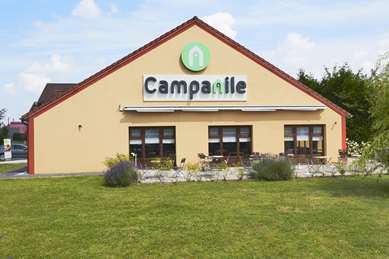 Campanile LILLE NORD - Roubaix offers regional, traditional, light or family-style cuisine. From Paris/Brussels: take the A22 towards Roubaix/Gand/Villeneuve d'Ascq, exit 11 Roubaix/Tourcoing, then the N356, exit 10 Centre Mercure. Turn right at 1st traffic light then right again at 5th traffic light. The hotel is 100m on the left. From Gand: take the A22 towards Lille/Paris, exit 13 Roubaix, then direction N356 Roubaix/Tourcoing, exit 10 Centre Mercure. Turn right at 1st traffic light towards Roubaix Centre then right again at 5th traffic light. 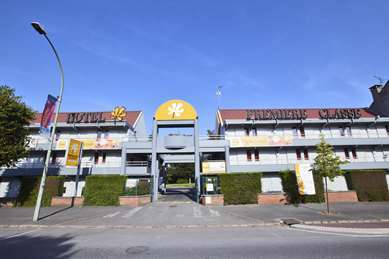 The hote is 100m on the left. From Dunkirk: take the A25, exit 7, then the northwest ring-road N352 Roubaix/Tourcoing, exit 10 Centre Mercure. Turn right at 1st traffic light towards Roubaix Centre then right again at 5th traffic light. The hotel is 100m on the left.